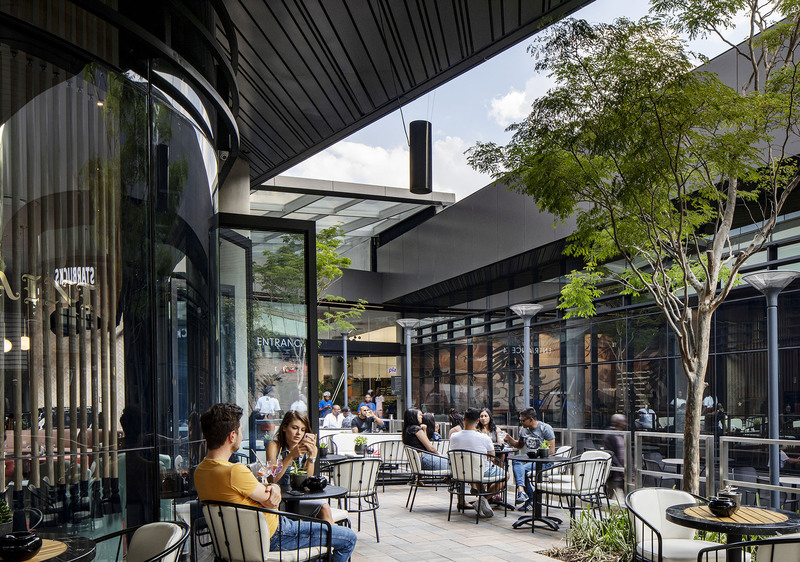 The MARC located in the ‘Golden Square Mile' of the Sandton CBD, has created a new urban landmark and transformed the character of the surrounding neighbourhood on street level by activating a vibrant, pedestrian-friendly public domain. 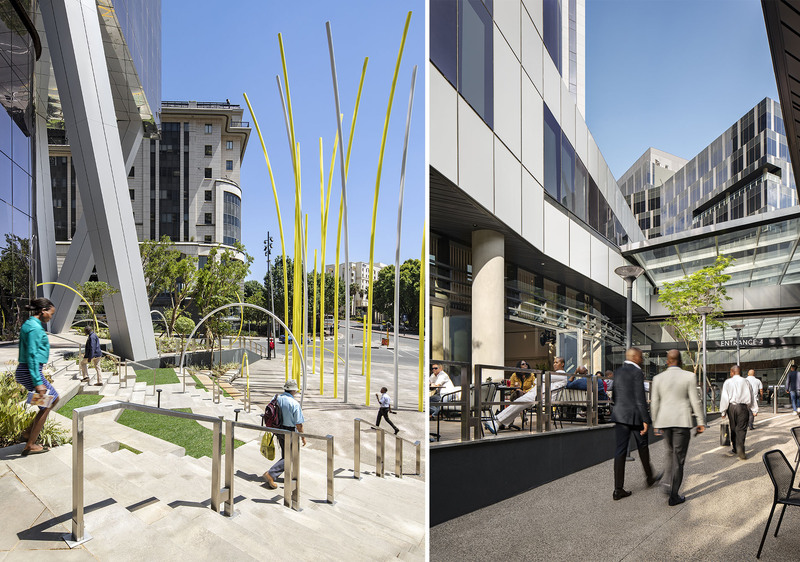 The design facilitates a shift to transparency and pedestrian traffic through large, wide urban staircases, generous pavements, public benches, hard and soft landscaping, and artworks. 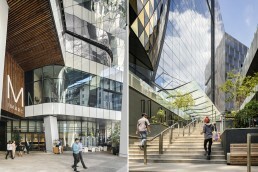 Three entrances flow through two floors of retail and a gym, above which sit two commercial towers. 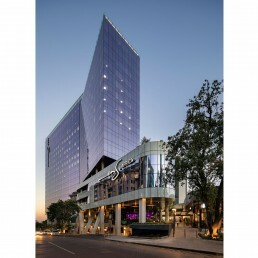 A 12- floor ovoid tower with a unique gold-and-black façade, designed to contrast with the predominantly blue and clear glass Sandton skyline and a 17- floor tower occupied by legal firm ENS. 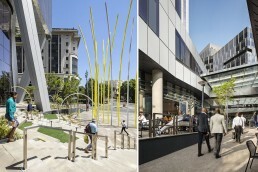 Parking is accommodated in 6.5 basement levels. 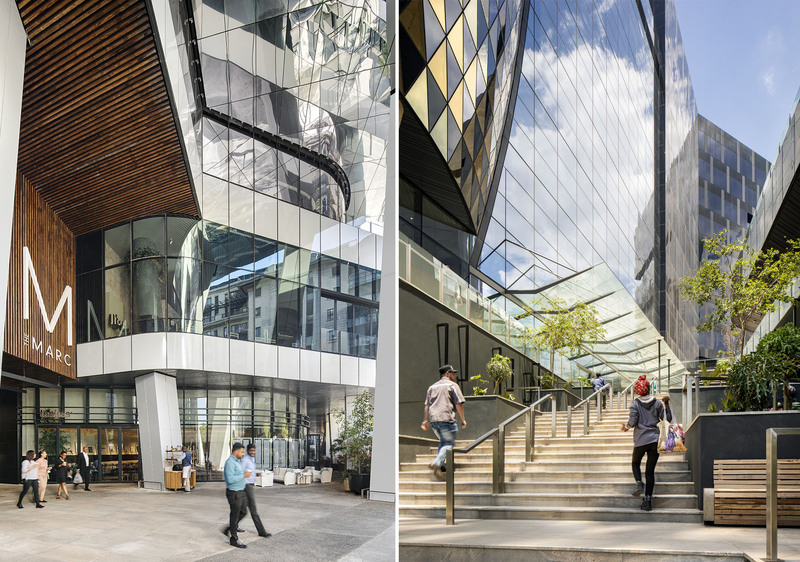 The office buildings are designed for visual impact on a busy intersection while allowing for physical and visual connections to the retail and podium components using an urban staircase and on grade access points. 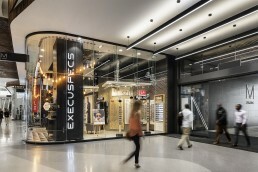 The overarching concept of open access and transparency was maintained in the retail design through the use of curved glass shop fitting, softly lit arches and skylights connecting visibility and light with ease of mobility.Increased foot traffic positively impacts all retail tenants and combined with the landmark destination adds significantly to the employee value proposition for the commercial tenants.